You're an individualization of God. You're worthy of every single thing that you desire and you have access to the exact same universal mind as any genius who has ever lived. If anyone has done something that you want to do, it means you can do it and you can be successful at it. You live in a beautiful, powerful world that's giving you every opportunity to have all the abundance that you desire. You are worthy of your desires for love and romance or health and adventure and happiness. They are all exactly perfect and they're all meant to become a reality. You might have a voice in your head that's telling you you're not good enough. You're not smart enough. You're overweight because of something that happened in your past. Therefore, you're limited. You don't have the resources. You weren't born in the right area. You have this reasoning. None of it's true. In fact, you're not even your body. This is just a garage. That's your soul. It's like a rental car that's allowing your soul to have a physical experience and learn powerful spiritual lessons such as that you are a powerful creator. You are an individualization of God. Your thoughts become things. Your consciousness can create your reality. You can hold the images of what you want in your mind and use your imagination and your willpower. That's why you're here. You're here to realize yourself as a powerful creator, as a creator of this universe. I am the creator of my experience. 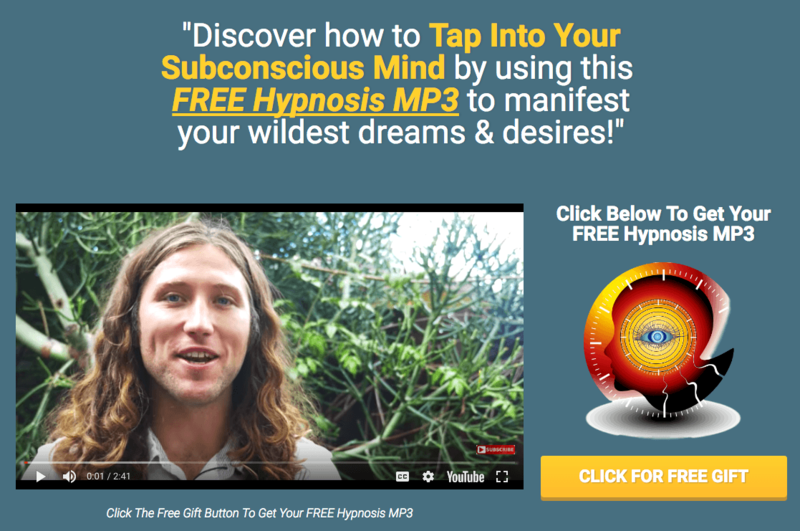 Download my free success hypnosis. If you rewrite all of that programming, you can attract the success and love and happiness and abundance that you deserve. You deserve people that support you, that empower you. You deserve the dreams inside of your head. Don't dismiss them as wishful thinking. Don't dismiss them as you not being good enough, smart enough, deserving, worthy, ready to qualify. You have it all. Life is exactly the way that it's meant to be. At this very moment, take a deep breath in and take a deep breath out and trust the process saying, "God, thank you universe. Thank you. I know that you support me in my highest desires. I now command that you show yourself with miracles and miraculous support. I'm so grateful that I'm attracting the perfect people into my life." Take a deep breath in and know that you're supported, that you're guided and that you are a child of God. You are God itself. You're a powerful being. You have within you the ability to manifest anything that you want, overcome all your limitations, and that's so exciting, so don't allow any negativity to pull you down today. Don't allow the past to pull you down. That's a limited brain, and the second mind is the mind. You create that in alignment with all your desires. That becomes a magnet for you to attract what you want. Remember, you're a powerful creator. You're deserving of experiencing the abundance of life. Take a deep breath in and say to yourself, right now, I am worthy of all that I desire. I'm good enough. I'm smart enough. I am worthy of all that I desire led that repeat in your head. It's the truth. I am worthy of all that I desire. Remember, you are a powerful creator. You are a powerful person. You matter. You have special talents, abilities, dormant forces within you that will allow you and assist you to achieve and attract what you want in your life.